Born in Stornoway in 1963, Rhoda Grant was brought up in Kenmore, Wester Ross. She was educated at Inverness College of Further and Higher Education obtaining an HNC in Public Administration, and through Open University obtained a BSc (Hons) in Social Science. Rhoda Grant has worked in Administrative and Clerical Posts in the public sector. She has also worked for Highland Regional Council and UNISON where she was Office Manager. 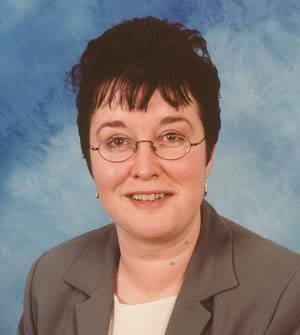 Rhoda Grant was a Regional MSP for the Labour Party from 1999 until the dissolution of the parliament. She was a member of two committees of the Scottish Parliament – the Rural Development Committee and the Public Petitions Committee. Additionally she was also a Ministerial Personal Assistant to the Minister for Social Justice and then Education and Young People. She has made her mark as a crofters’ champion, tirelessly working to secure a better deal for this vital way of life in the Highlands & Islands. She has lobbied the Rural Development Minister hard to improve the Less Favoured Areas Scheme and also serves as Convener of the Cross Party Group on Crofting. Rhoda Grant has also been active running an anti-drug dealer campaign in several areas of the Highlands. Other areas in which she has been working include – addressing anti-social behaviour and pressing the case successfully for the relocation of Scottish Natural Heritage to the Highlands. Together with her colleague Maureen Macmillan, Rhoda Grant was the first politician to raise the issue with the Scottish Executive.